Goldwyn’s movie industry, with blockbusters and flops, has to deal with the uncertainty of knowing whether moviegoers will show up in sufficient numbers to pay all the costs of production, marketing, and distribution, and still return a profit. Is it “true” that the latest release be an “Avatar” (one of highest grossing movies) or a “Cutthroat Island” (biggest flop)? There is uncertainty in any forecast, as with the hurricane path forecast above, and yet many companies continually ignore that uncertainty when planning a company’s future. You can attempt to reduce the uncertainty by gathering more information, but at some point the cost in time and money to do so will exceed the value of reduced uncertainty. As an executive, you should want to know what is the possible range of results, so that your company can plan accordingly. You should still set challenging goals, but you can get an idea of how likely those goals are to be achieved if your teams provided a range of forecasts. Our npv10 product makes it simple to provide multiple forecasts for each product line, business unit, project, location, or however else you subdivide your business. Using these, we run hundreds of simulations to generate a range of results across your entire business, and calculate the range of results for all of your key performance indicators. The above chart shows the “80% Confidence” range for Cash Flow from about 40 different projects a company had in various stages of development. Some of the established products had little uncertainty in their forecasts, and new projects further out had more. The greatest total uncertainty was about 2 years (8 quarters) out as some older products tailed off, and newer products were starting to take off. The 80% represents the number of simulated results that fell in the range, with 10% of results falling above the shaded range, and 10% below. 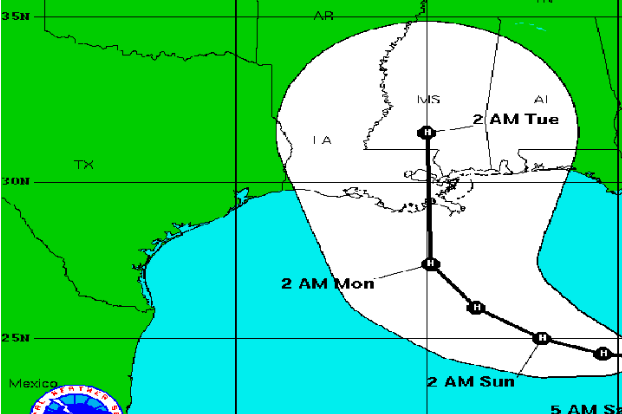 The dark blue line is the weighted average of the forecasts (not simulated). How does knowing this uncertainty help you manage your business? You may set internal goals in the upper range, but provide external forecasts somewhere in the lower range. You can also plan for the extremes, knowing ahead of time what you will do to react to these alternative outcomes. And scenario planning is not just for the downside. If you have wildly successful projects, you may need to react quickly to increase personnel to support those, or may need additional working capital to handle cash flow timing issues. Knowing ahead of time what you will do enables you to best prepare, and not be forced to react in real-time, leading to less optimal results. If you want help managing your organization’s uncertainty, contact us, and we will show you how to embrace uncertainty. How often has this conversation happened in your company during the annual planning cycle? CEO: I want to push decision-making as far down as possible, and hold the business units responsible. FP&A: The corporation is responsible to shareholders, and we need to direct the allocation of resources as best we can. Head of Business Unit: I don’t want Corporate micro-managing my business, making every little decision. We know our markets, and we should make those decisions. Corporations are usually subdivided into business units, which focus on lines of business or geographical areas, or a matrix of both. Ultimately, the organizational structure should support the company’s strategy and enable decisions to be made by the people with the best ability to make them. Business units use corporate resources to generate returns for the corporation. But who decides which resources the business unit gets, or how much return is expected on them? 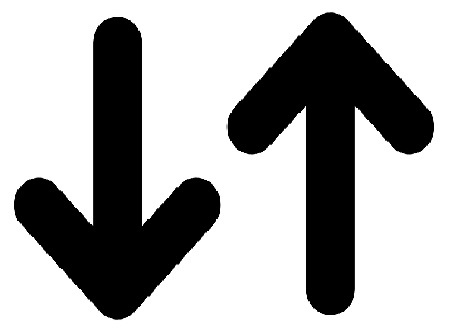 Top-down: The corporation makes decisions about the next few periods’ goals and resources, and assigns them to business units often based upon their recent performance. Bottom-up: The business units develop goals, determine the resources needed to achieve them, and requests those from the corporation. Both approaches may involve some amount of negotiation and recycling. Depending upon the incentive system in place, business units may try to get lower goals and more resources than they believe are necessary, to make achieving the goals easier. One organization I know used the top-down approach: They incrementally adjusted the previous year’s numbers to reflect new goals and resources. Their organization was split geographically, which made sense given they provided services to local businesses. But the various geographies were not all the same. Some were rapidly growing while some were slowly declining. The organization should have been adjusting goals and resources according to what the areas could be doing based on the number and growth of local businesses, rather than what they had done in the recent past. Another large corporation used a bottom-up approach, getting business units’ goals and resource requirements. But the corporation had its long term goals, and knew that available resources were getting slashed, so there followed many rounds of negotiations and re-planning, leaving everyone exhausted and feeling they were needlessly swirling. Business units can use the goal-based planning approach to select from among their available alternatives, using the provided scenarios from the corporation for their overall goals/constraints. Need to also specify whether the plans are scalable (e.g., can half the goals can be achieved with roughly half the resources, or twice the goals can be achieved with twice the resources), or is some fixed-cost investment required to get any return? Scalable options can be adjusted by the corporation to more closely fit their goals. Corporate planning uses the npv10 solution to optimize the plan, picking and choosing from among the business units alternative plans, and then informs the business units which of their plans should be executed. The recommended approach enables the corporation to use its corporate-wide view to most effectively allocate resources to best achieve the corporate goals, while enabling the business units to have a fixed number of plans to evaluate, and to make their own decisions within those scenarios. When you are ready to pilot-test this approach, either for your corporation or business unit, we will work with you to gather an appropriate level of detailed data, work through many scenarios, and teach you how to use the tool to enhance your planning process in the future. — The Byrds – Turn! Turn! Turn! Every company has to manage its portfolio of products or projects, as each undergoes its life cycle of birth, growth, decline. Apple derives the majority of its revenues and profits from just a handful of products: iPhone, iPad, and personal computers. Each of the segments has had its day as a growth driver, and the iPhone is just now showing signs of slowing unit growth. They could of course come up with a new or improved existing product, and dominate the space, as they did with music players, tablets, and smartphones. The Watch is an early attempt at identifying the next market, and it’s doing well relative to other competitors, but not in sufficient volume to be relevant. The company reportedly considered the TV market, which in some regards helps fill a short-term gap, as TVs are high-ticket item consumer electronics, but competitors seem all too willing to drive prices down on the latest innovations as quickly as possible. Apple could still develop something here, but seem content for now to use their Apple TV box to let them continue working on this segment. There are only a few other industries with companies that generate revenue of Apple’s magnitude: Oil, Retail, Automotive, and Financial Services. Only one of those plays to Apple’s core strength of developing cutting edge products for consumers: Oil. Just kidding! Apple has experience with retail, but I don’t see them wanting to go beyond their high-end niche, and try competing with Wal-Mart or Amazon, purveyors of anything and everything. The company is making forays into the financial world with Apple Pay, but for now need to leverage other competitor’s infrastructure, and it seems more like incremental efforts to bolster their ecosystem. That leaves the automotive world. They started integrating their technology as infotainment devices, with Apple Carplay. This is again an incremental play, and enables them to build relationships, and see where they can add value, and play to their strengths. But could Apple expand their forays into cars with an actual car? And would they compete with the BMWs of the world, or with Uber with a self-driving car service? The current rumors suggest they went down the path of having their own car design, but may have shelved it while continuing development of self-driving systems. 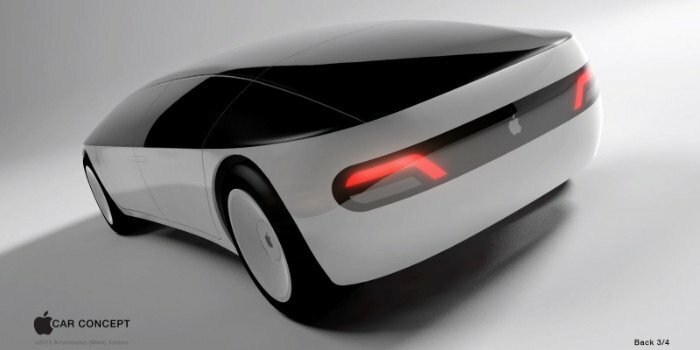 Apple’s strength has always been in providing an integrated hardware/software/service experience, and the only way to achieve that in the auto industry is to develop or acquire their own car design. Others have suggested Apple acquire Tesla to quickly establish a strong position in the industry, but they have never used major acquisitions to enter a product category. Where does that leave us, or Apple? Our goal-based planning approach tells us that Apple need a replacement for the iPhone as its main growth driver. Their strategy has always been to have a focused product line, rather than a large collection of products. Together, these tell me that Apple will soon be filling its new spaceship-like headquarters with car designers and engineers.